Our mission has always been to share gratitude in gifting. To give a gift that says “thank you,” or “I’m here for you,” or “you’ve got this!”, “you’re awesome'“ - there’s something about the gesture that holds substantial meaning and thoughtfulness. Most times, it’s not about the physicality of the gift, but the effort and care a friend employed to ensure you felt appreciated. 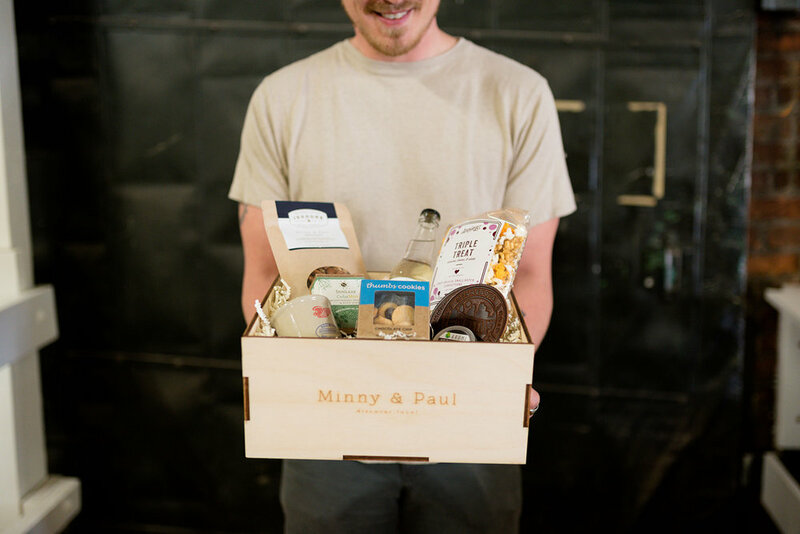 Here at Minny & Paul, we’re fortunate to send gifts all across the country. To moms, girlfriends, coaches, clients, sons, aunties, new mamas, and more. Based on the cards we get to write, we know these people are loved. But, what if we could help all sorts of people feel loved, appreciated and valued? Not just the ones who come through the M&P door, but people who are in our community who are equally deserving. If we can enact that sort of kindness in our own little world, well it may just have a ripple effect. So how will we accomplish this? Think of that person in your neighborhood, in your community who is making a difference. Who’s kindness, positivity, generosity, and empathy overflows. This person isn’t famous. They aren’t in the newspaper, president of a large company or in politics. They don’t have a large social media following nor do they seek much attention. No, this individual is without much recognition. They live their benevolent lives shoveling your driveways, raising money, opening up their homes, really listening when asked “how are you?”, fighting for social justice, standing up for someone because it’s right - making the world a better place just because they want to. They are our Everyday MVPs. To thank our community MVPs and show them their positive impact on the community, we’re starting a new initiative called “The Everyday MVP.” Every month, you can nominate a standout individual in your community and let us know why you think they embody the Everyday MVP spirit. We will select one person each month and create a special personalized gift to send to them. Upon selection, we will work with you to ensure the most special surprise, including sharing their story across our social channels, a personal hand written card, and helping you create a short video detailing all the wonderful things about them.